The Ragamuffin is known for his docile nature. He loves to be held like a baby and will completely relax into your arms. 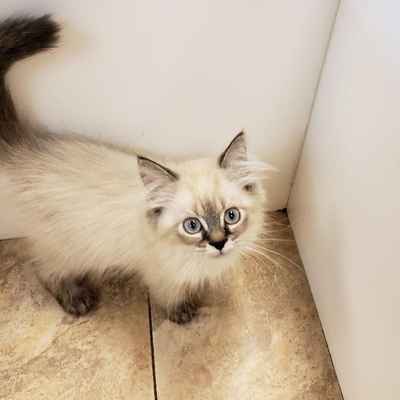 If you are wondering if the Ragamuffin is related to the Ragdoll, the answer is yes. Some breeders wanted to introduce new colors and patterns while others thought it was important to widen the breed’s gene pool. 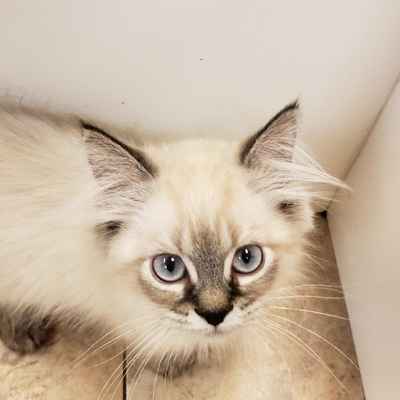 Because the breeding of Ragdolls was strictly controlled by that breed’s founder, Ann Baker, a new group formed to create its own breed. 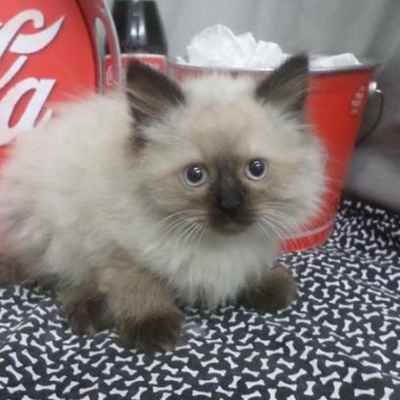 Like his cousin the Ragdoll, the Ragamuffin is a huggable lug who wants nothing more than to follow his people around and sit in a lap whenever possible. A nice combination of sweet and smart, he is often described as puppylike for his friendly personality and willingness to play fetch, learn tricks and walk on a leash. He greets visitors warmly and would meet you at the door with a martini if only he had opposable thumbs. The Ragamuffin is known for his docile nature. He loves to be held like a baby and will completely relax into your arms. Ragamuffins like to play but are good about limiting their attentions to their toys and scratching posts, not your furniture. It is rare to nonexistent for them to lay a claw on a person. 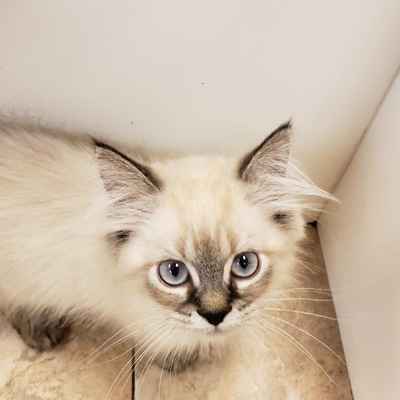 The calm and even-tempered Ragamuffin is an ideal family cat. He doesn’t mind being held or carried around by a child or dressed up and pushed in a baby buggy. He is playful and smart, one of those cats who enjoys playing fetch and learning tricks, and his energy level means he won’t wear out before the child does. Always teach children how to hold the cat properly, supporting both the hind end and the front end, and have little children pet him while they are sitting on the floor or on a sofa so they can be on the same level as the cat without trying to hold him. After all, he may weigh more than they do.